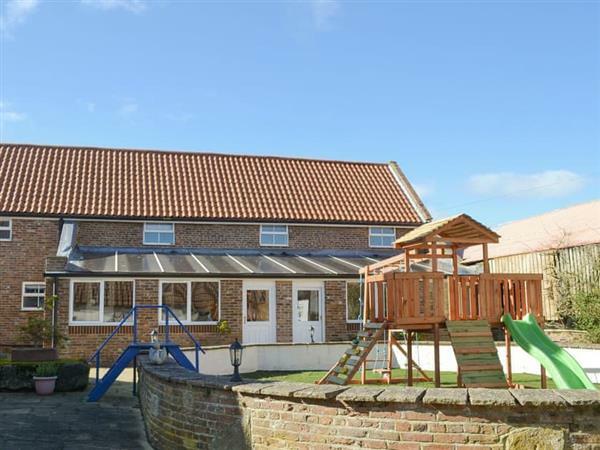 Barley Mill at Peigh Hills Farm in Tritlington, near Morpeth, Northumberland sleeps 4 people. Peigh Hills Farm near Morpeth are two terraced cottages which are situated on Peigh Hills Farm, just 6 miles north of Morpeth. The owner lives on-site and trains his own horses. Granary Cottage (ref UK10994 [Granary Cottage]) is very well presented throughout and offers a great space for couples or small families. 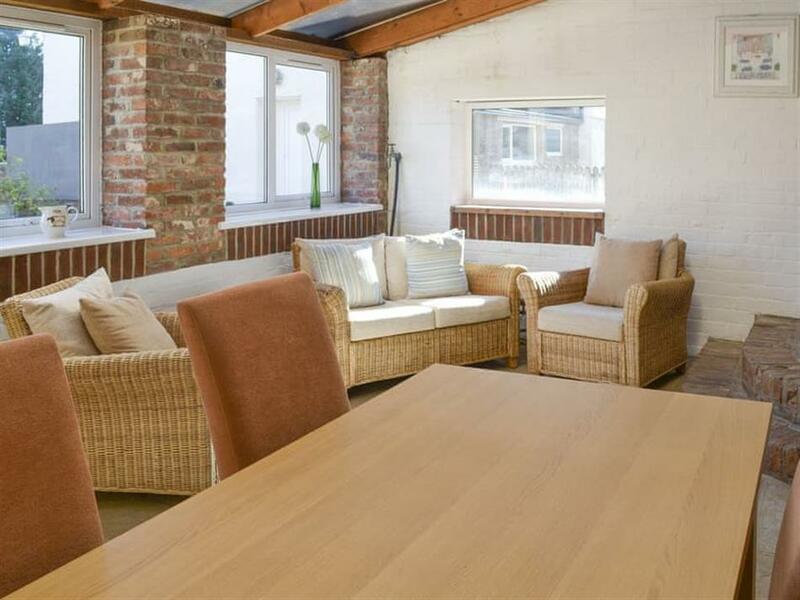 The ground floor is home to a cosy living room as well as a bright and airy conservatory/dining room. Upstairs you will find two bedrooms, both with the added benefit of en-suite facilities. Barley Mill (ref UK11148) offers comfortable accommodation for up to four guests with a living room, kitchen and conservatory/dining room on the ground floor. Both bedrooms can be found on the first floor, each with the added convenience of en-suite facilities. Bedroom 1: With super king-size bed and en-suite with bath and toilet. Both properties: Oil central heating, electricity, bed linen, towels and Wi-Fi included. Travel cot and highchair. Patio with garden furniture (shared with other property on-site). Bike store. Private parking for 1 car; additional parking available on request. No smoking. Holidays at Barley Mill, Peigh Hills Farm run from Friday to Friday. For a better idea of where Peigh Hills Farm - Barley Mill is, you can see Peigh Hills Farm - Barley Mill on the map below. Peigh Hills Farm - Barley Mill is in Warwickshire; should you be on the lookout for a special offer, you can find all the special offers in Warwickshire. It's always worth checking to see what is on offer at the moment. Do you want to holiday near Peigh Hills Farm - Barley Mill (UK11148), you can see other cottages within 25 miles of Peigh Hills Farm - Barley Mill; have a look to find your perfect holiday location.